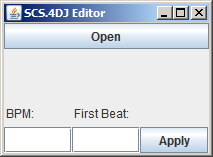 This is a simple program that allows you edit the beat grid generated by Stanton SCS.4DJ QuickGrid. 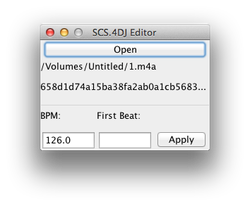 This is probably the most basic tool you would expect, but if there is enough support, more features will be added. If you get “Quickgrid is damaged and can’t be opened” error, try the following. Open your system preferences and go to the ‘Security and Privacy’ pref pane. Choose the ‘General’ tab and down at the bottom under ‘Allow apps downloaded from:’ choose ‘Anywhere’.Just be aware that you are changing your Mac’s security settings so that any application from anywhere can now be opened, and Apple doesn’t recommend doing this. 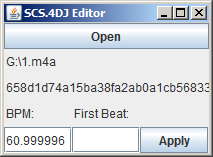 How to find the first beat in milliseconds? 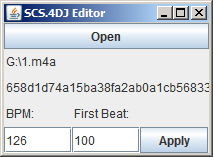 Use an audio editor like Audacity.